Known for his exciting and inspirational classes, Joseph is currently one of the UK’s leading swing dance teachers, choreographers, performers and avid social dancers of authentic swing dances, with a big passion for Lindy Hop. Teaching since 1996, his main focus is the Lindy Hop, Blues, 1920′s Charleston, Cake Walk, Snake Hips and Authentic Jazz touring all over the UK and Europe, offering musicality and styling for leaders and followers. 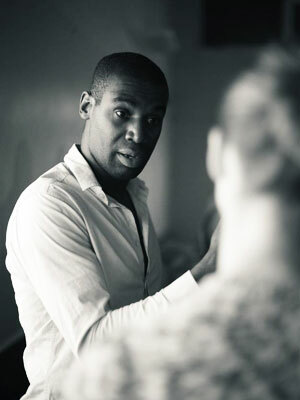 Inspired by old classic clips with dancers such as Frankie Manning, Leon James and Al Minns, Joseph’s class material focuses on the JiveSwing STAR philosophy (Style, Techniques And Rhythm), which he created, plus musicality, body awareness, improvisation, with original and creative moves that can be used on the social dance floor. In addition to a number of TV projects, he has performed at the world famous Royal Albert Hall, plus London’s most prestigous banking capital Canary Wharf, has choreographed and featured in a number of music videos, such Yolanda Be Cool’s Sing Sing Sing, Jive Aces’ Bring Me Sunshine and Joe Stilgoe’s When We Kiss. Taking swing dance to the radio, Joseph featured in BBC Radio 2′s documentary, Swingin at the Savoy, with Norma Miller, Chazz Young and Duke Ellington’s grandson, teaching BBC’s Len Goodman how to Lindy Hop. Most recently he has choreographed for a Dreamboats & Petticoats national TV advert. Joseph’s lastest TV project has been choreographing and performing in the hit BBC TV documentary Wartime Farm, where he also features as the main dancer. Rumour has it, that it’s a favourite of Prince Harry! Joseph has toured all over the UK and Europe to over 20 countries such as Germany, France, Sweden, Spain, Scotland, Greece, Wales, Norway, Turkey, Switzerland, Denmark, Belgium, Czech Republic, Hungary, Amsterdam, Israel, Slovenia, Italy, Austria, etc., but wherever you find him, he’s generally the last person to leave the social dance floor.